Chocolate drizzle popcorn - home cooked food delivered. 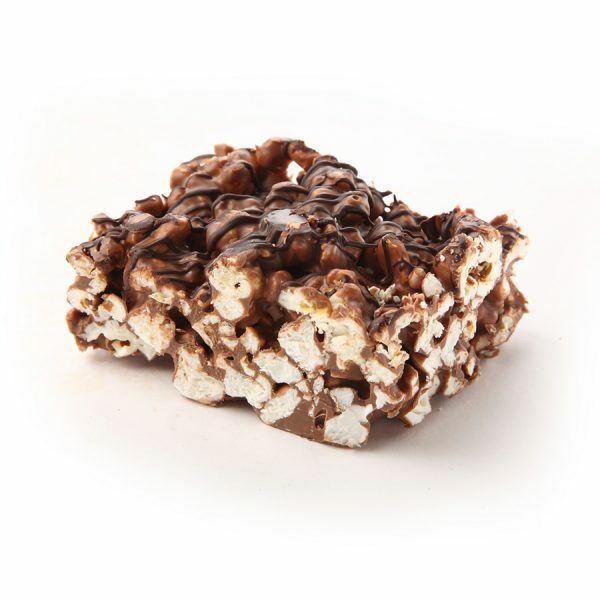 Scrumptious sweet popcorn, covered in lashings of milk chocolate and finished with a drizzle of rich 53% Belgian chocolate. This wonderful square is great for gatherings or cut into bite size pieces for the kids and is nothing short of heavenly to eat. MILK chocolate, 53% Belgian chocolate, popcorn kernels and caster sugar.